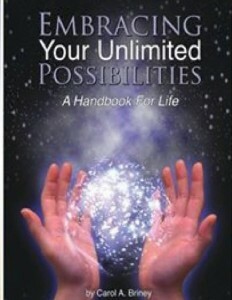 carolabriney.com » What They Are Saying About Embracing Your Unlimited Possibilities – A Handbook For Life. of peace, love and joy behind me. positive energy to accept or deny as they see fit. 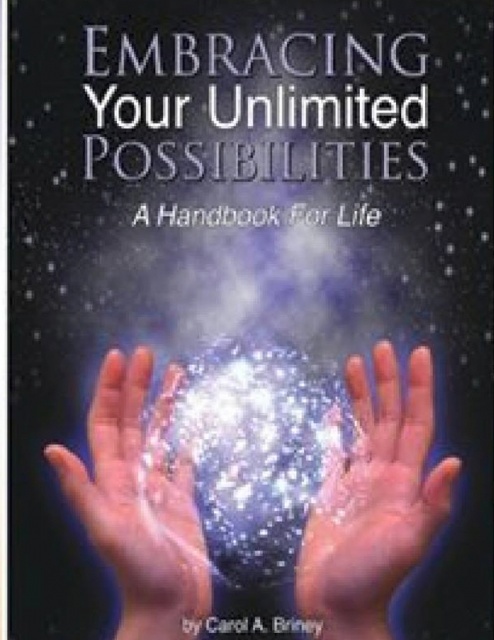 What They Are Saying About Embracing Your Unlimited Possibilities – A Handbook For Life. First, let me say THANK YOU and thanks to GOD for giving you the courage, strength and motivation to write this book!!! It is OUTSTANDING!!! It has helped me immensely and I’m not even finished with it yet!! After I have read the entire book, I plan to immediately reread it completing the exercises as you have them presented before I continue reading the next chapter. Thank you for all that you share in this book.